Question on Dividend Investing in South Africa. I will soon give an update on what is happening in my life after being a housewife slash full time everything else but office work. I will be answering all outstanding questions tomorrow. Hope that will be possible as I will not be working. I am nicely well adjusted now too and I feel tired of having a job again. I will try not to be scarce anymore. 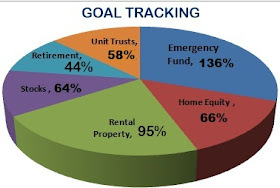 I read your article on this dividend investing. I have been looking at this also for a long time, also as a passive income option, but have not started for the following reason. To make this worth your while, you really have to buy a large amount of dividend shares. What does your investigations tell you? Thanks for your question F. Indeed, one needs tons of high dividend shares to make a sizeable dividend income in South Africa. We just don't have high enough dividends. But what makes the whole idea difficult to work is the fact that, most high dividend stocks/ shares are low growth. The most I have done on dividends is R15,000 per year. And that was when I kept the focus on it. But my shares were limited in general. 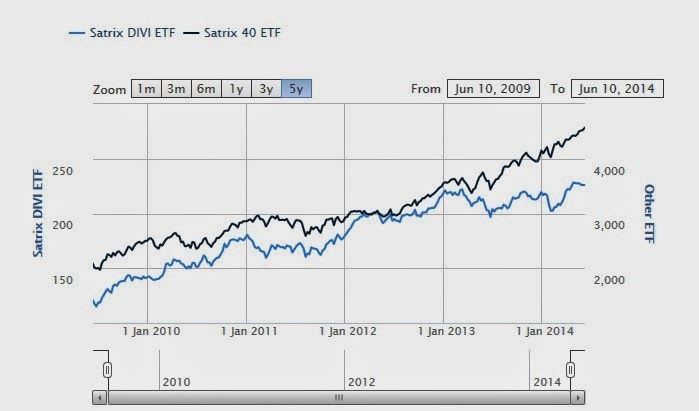 We also have high dividend exchange traded funds (SatrixDivi), which is out performed on growth by other ETF sectors like Satrix40 over a period of 5 years. You may see how modest the growth of the dividend investment compared to the top 40 stocks in satrix in the graph below. I will look into practical calculations of when Dividend Investing in South Africa is worth it. It will obviously depend on the amount of money that one has in stocks. Thanks again for your visit. For any questions, feel free to click on the contact us or Ask Us button above.